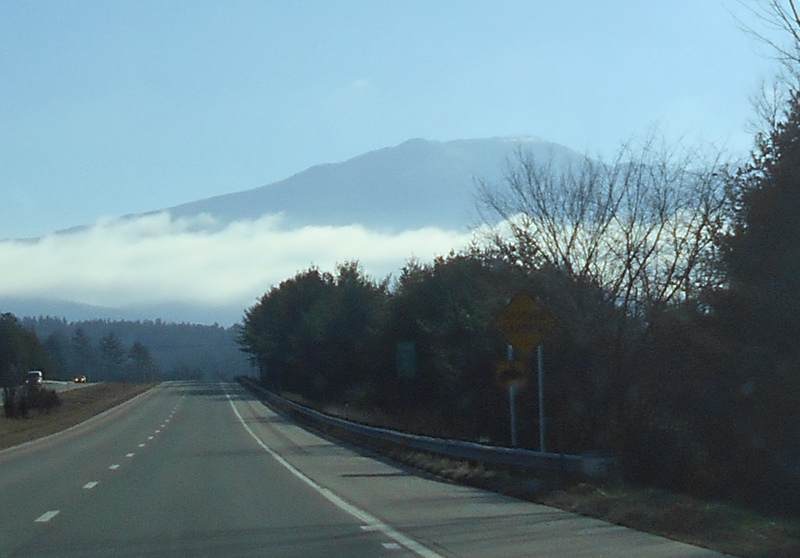 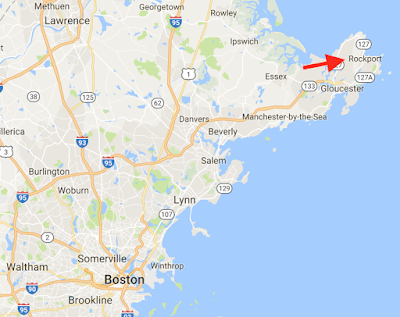 The drive from Stanstead to Boston takes about 3.5 hours and one of our favourite places for lunch in Danvers, MA is the Portside Diner. 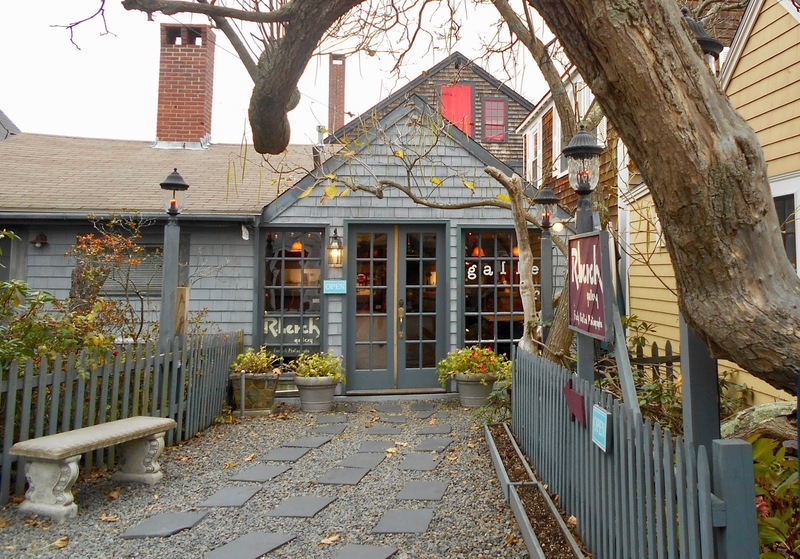 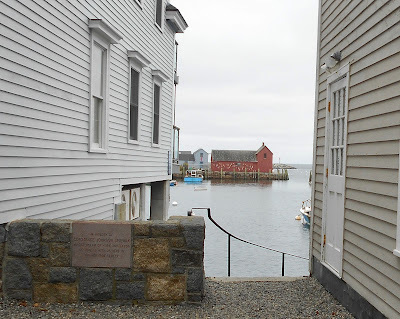 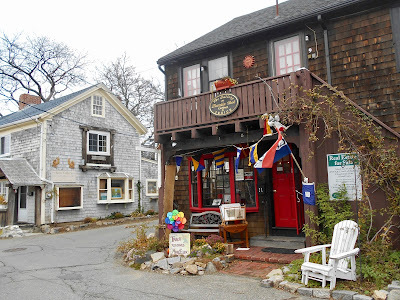 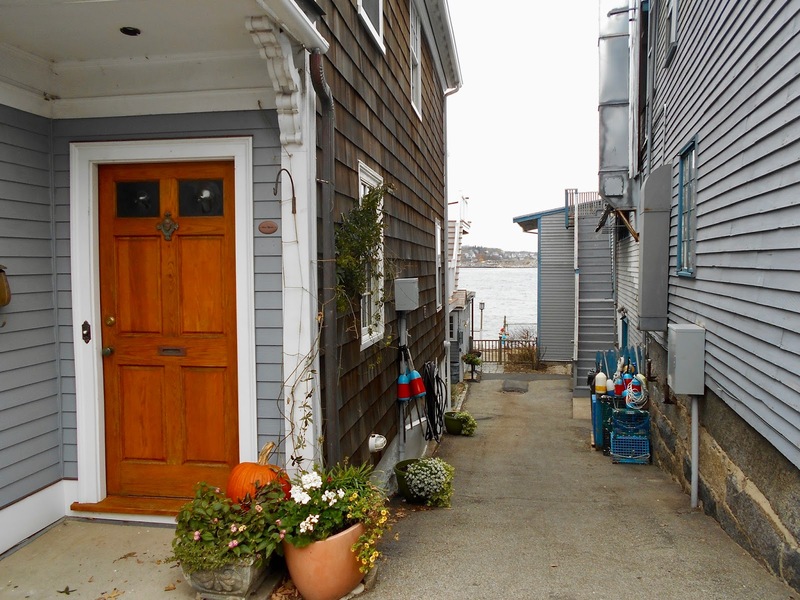 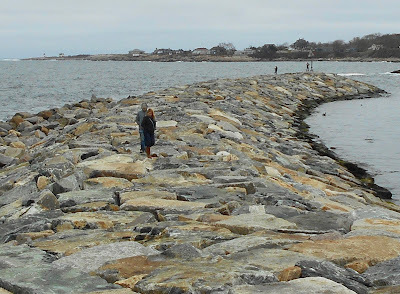 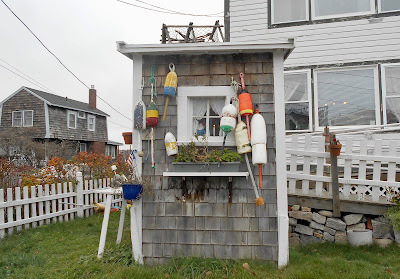 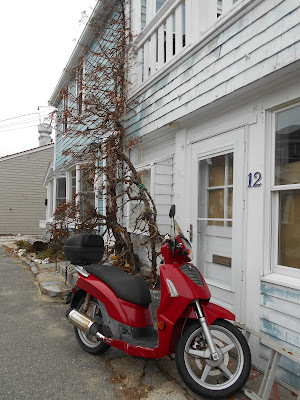 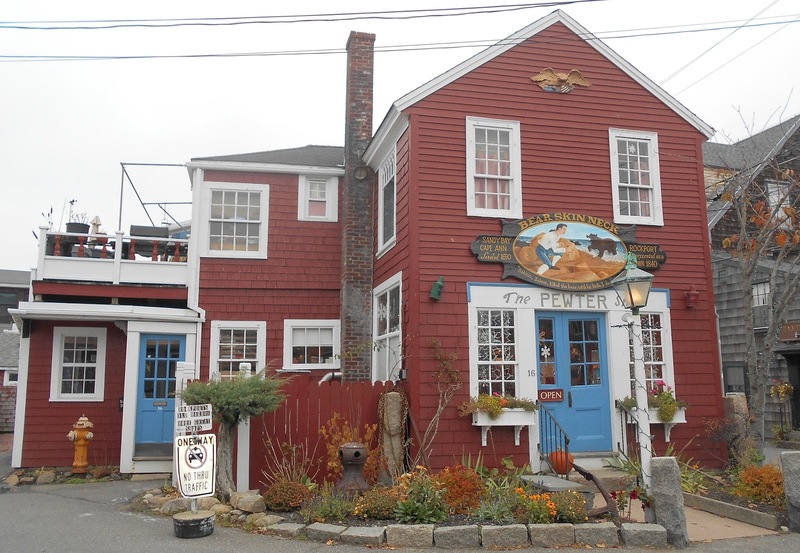 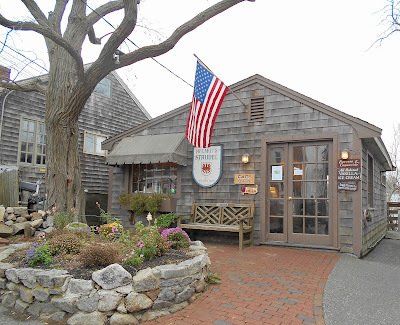 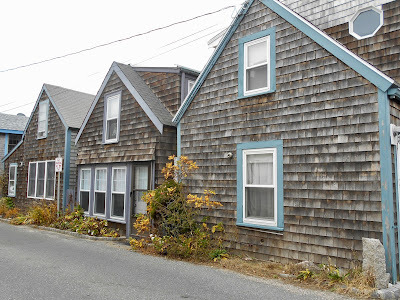 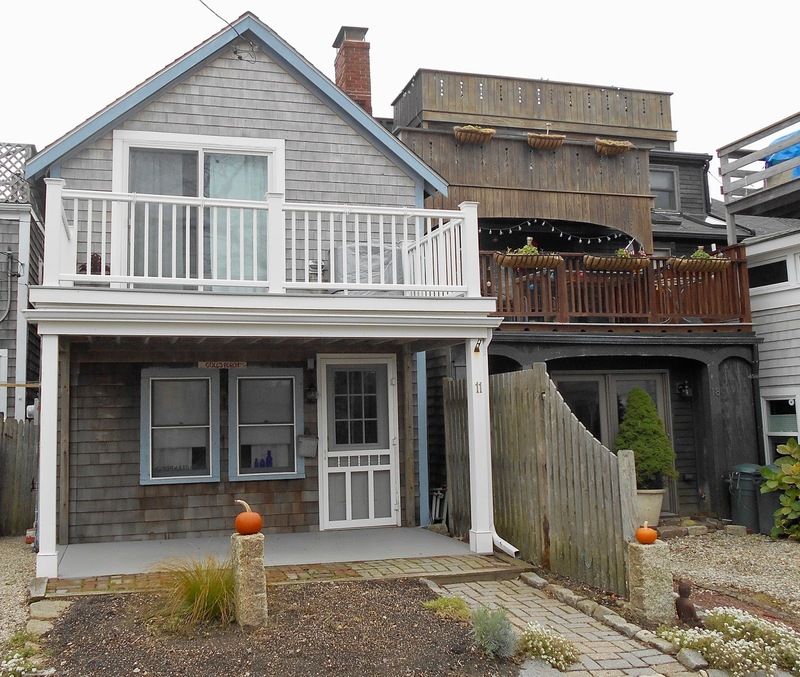 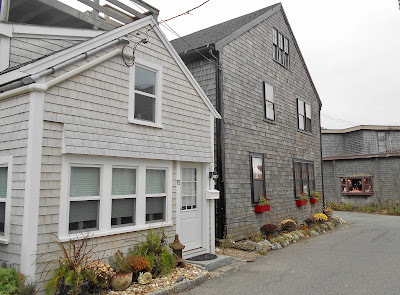 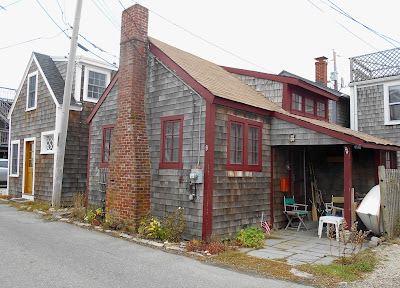 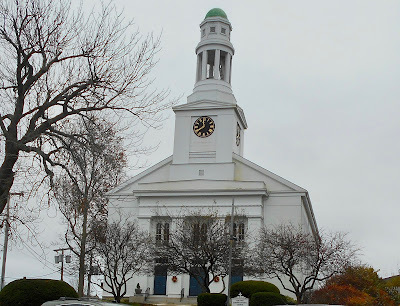 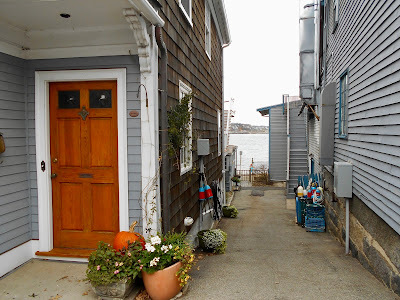 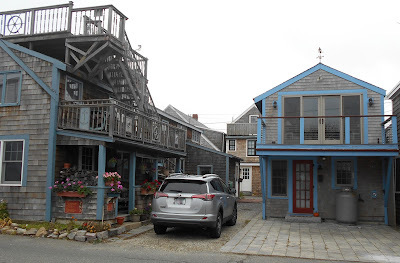 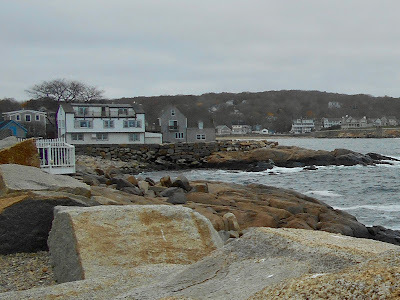 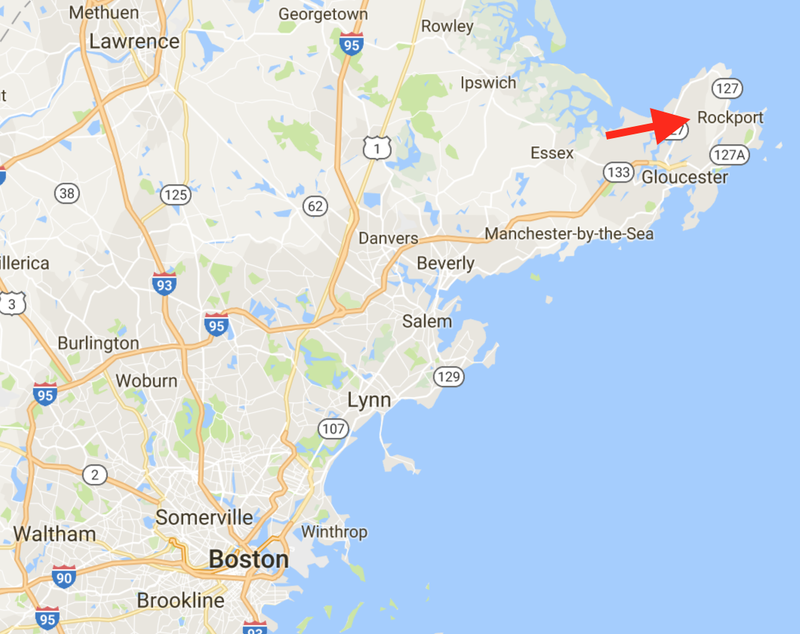 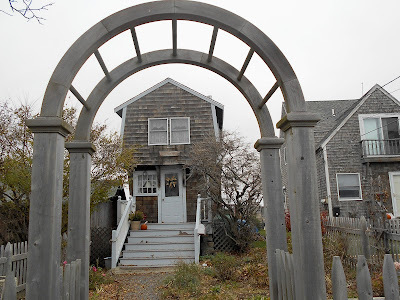 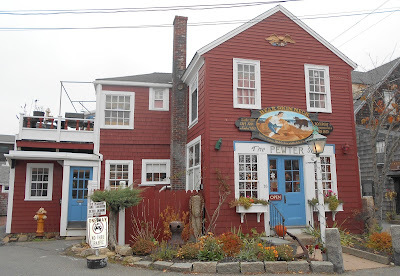 On Saturday Sarah and Tim suggested we visit the picturesque seaside village of Rockport which is about about a 30 minute drive from their home (and approximately and hour from Boston proper). 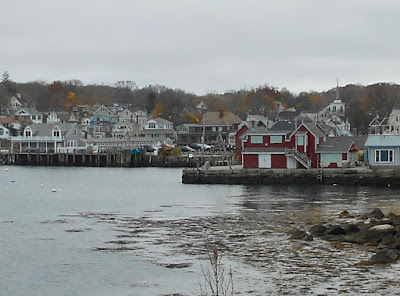 The sun was shining when we left, but by the time we arrived in Rockport the sky was overcast and the temperature noticeably chillier. 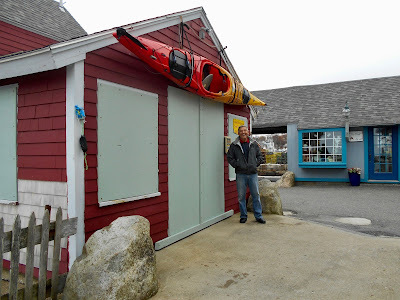 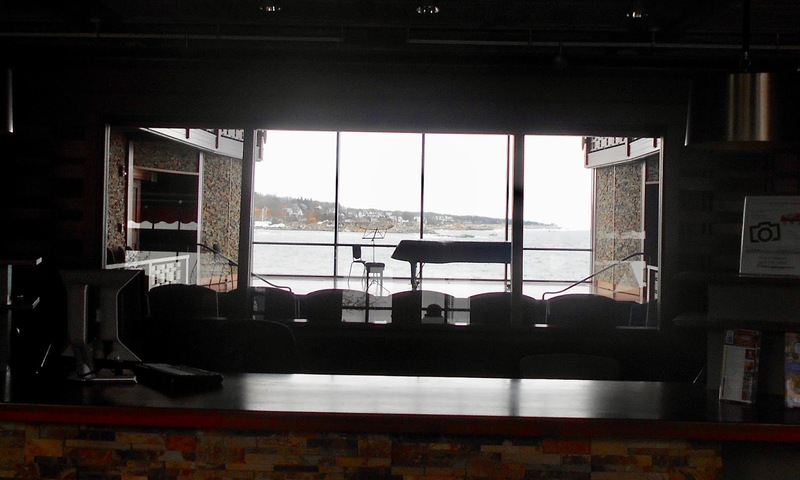 Ah, the joys of a marine location and rather reminiscent of our weekend with them last June in Bar Harbor, Maine. 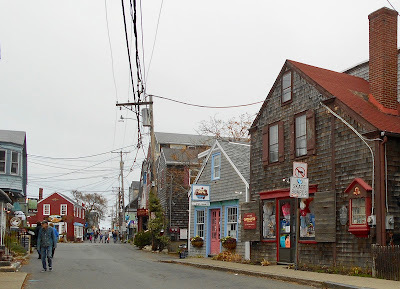 Nonetheless we had a great time strolling along the streets and soaking in Rockport's ambiance. 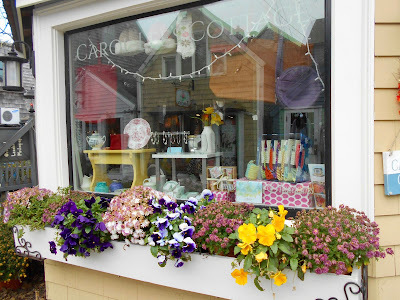 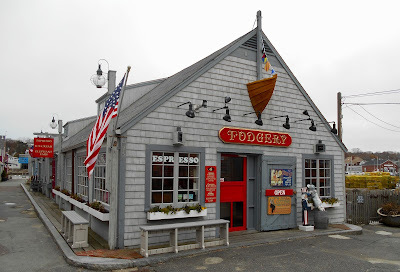 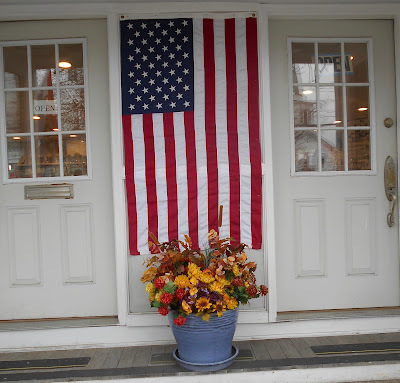 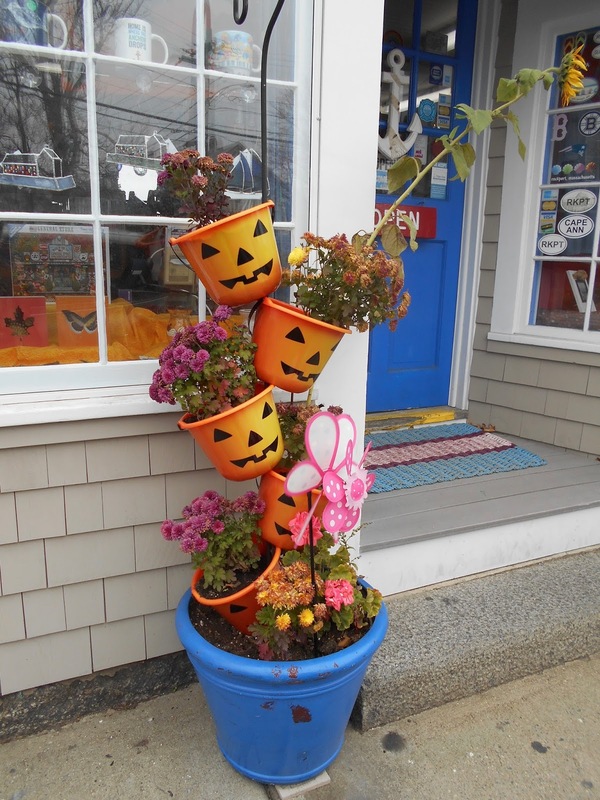 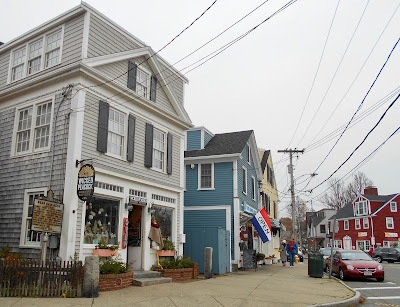 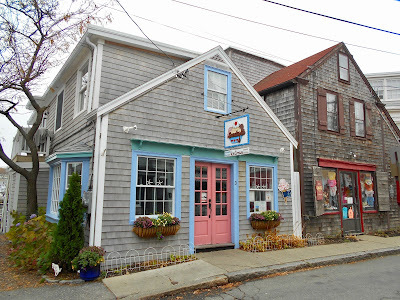 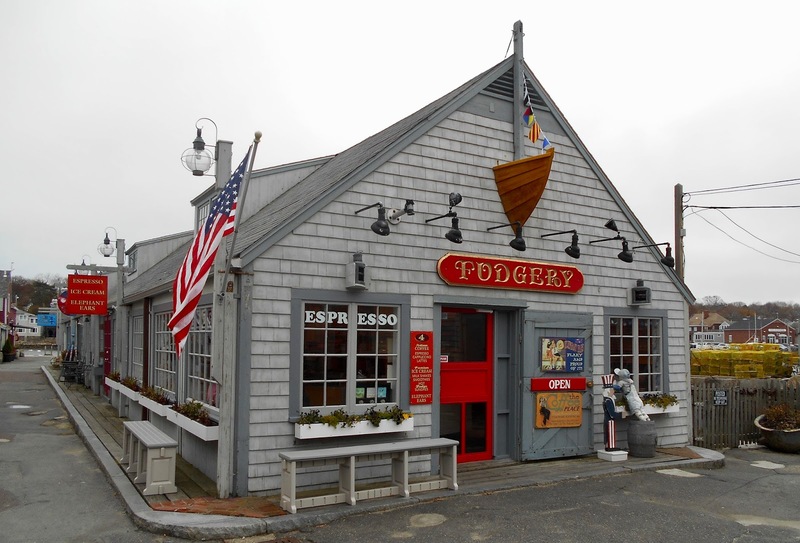 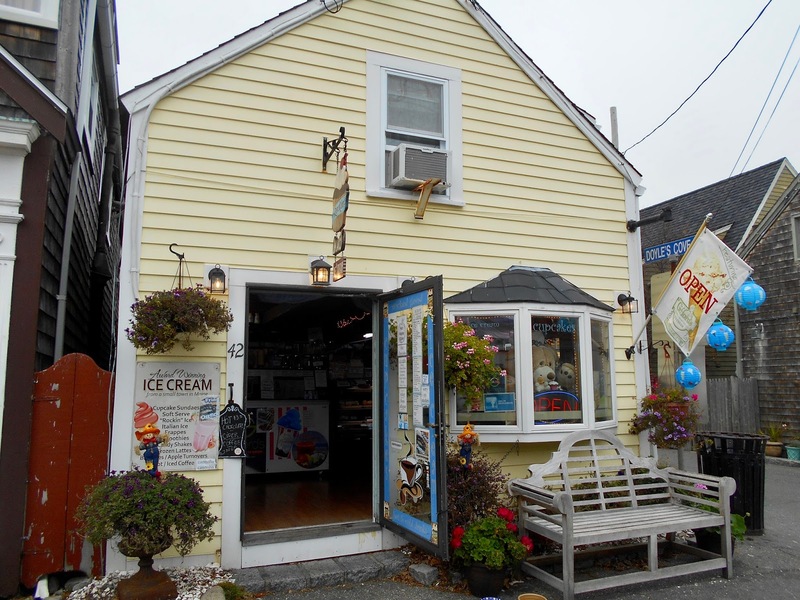 We did a little window shopping, seeing everything from designer clothing to tee-shirts, dog accessories, souvenirs, fudge, knicknacks, ice cream, pottery, jewelry and paintings by local artists - all with a certain seaside flair, of course. As per usual I lagged behind snapping a gazillion photos and was curious why John, Tim and Sarah found this ice cream cone so fascinating. It wasn't until John pointed out it was made from three large and very real pumpkins stacked on top of each other that I understood its appeal. 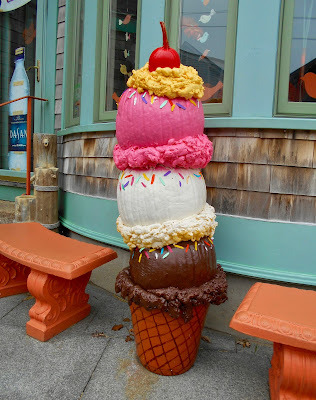 Between them they decided the "froth" was more than likely insolation spray foam and then each "flavour" spray painted and sprinkles (or jimmies as they're know in this neck of the woods) added on top. 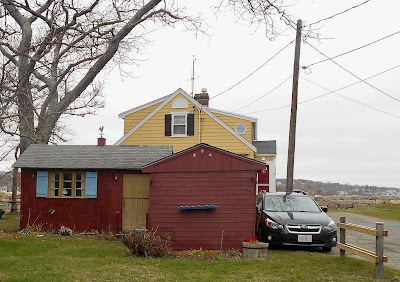 The cherry was a small pumpkin! 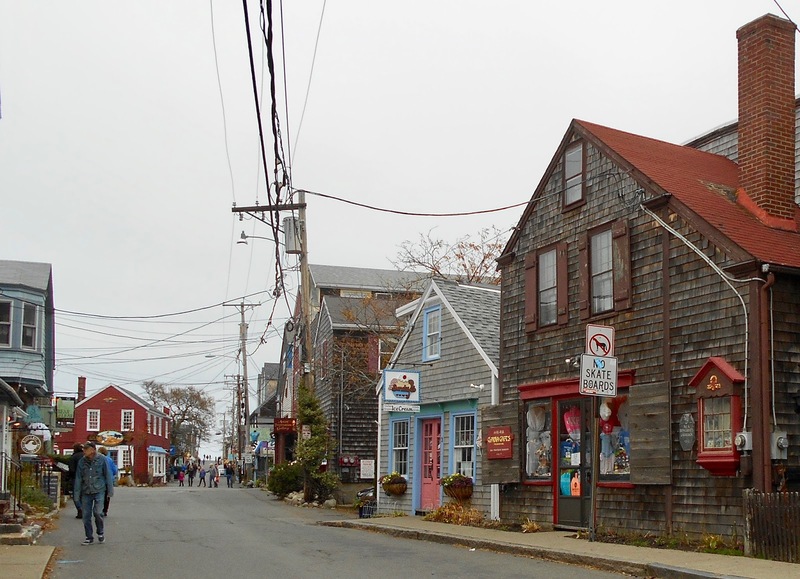 Continuing along the various streets we passed by more inviting shops. Can you guess why this next shop turned out to be John's favourite?! 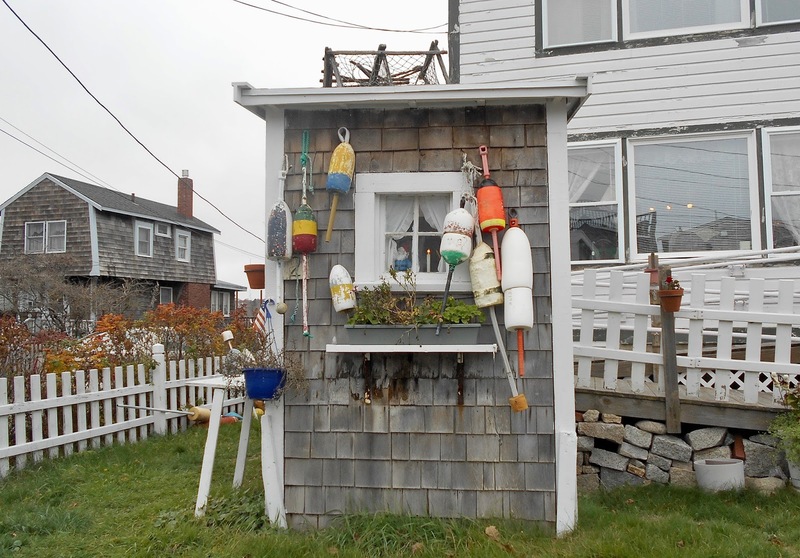 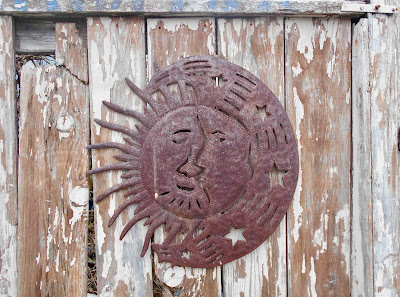 Rockport, however, is not just a tourist destination. 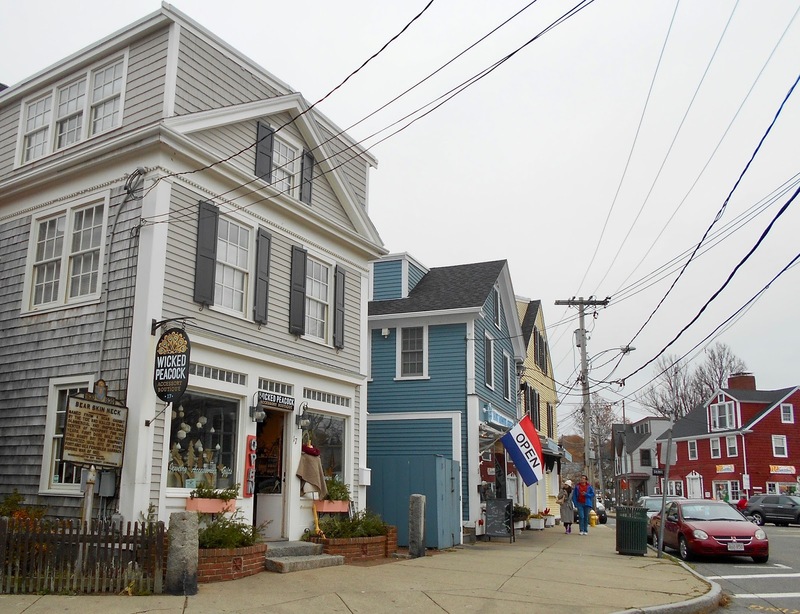 It's a community and the homes are as quaint and unique as its setting. 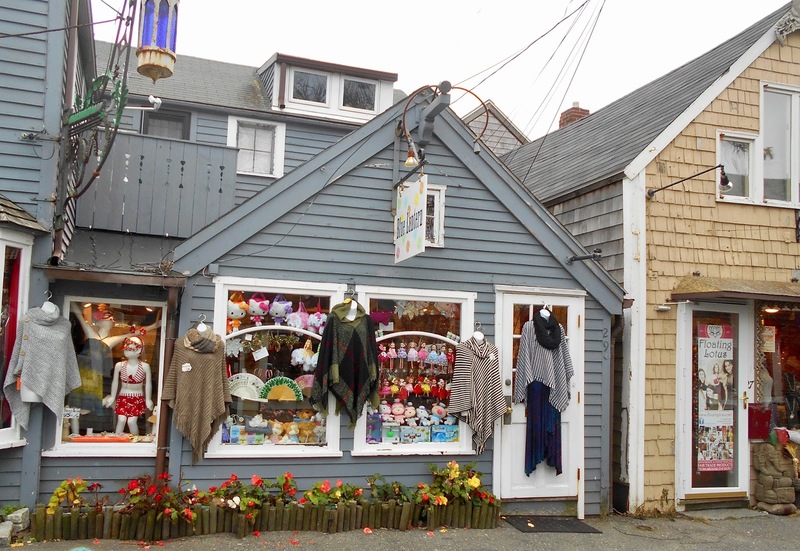 Some of the homes have been made into shops and galleries. 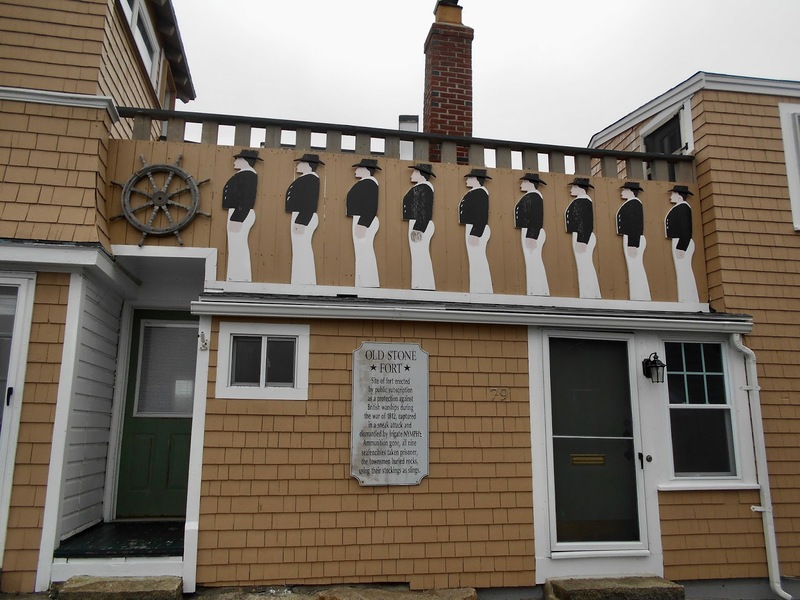 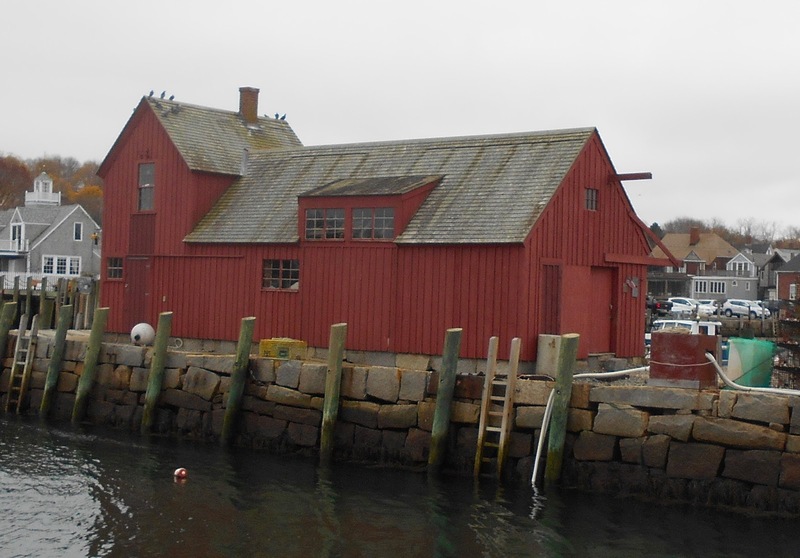 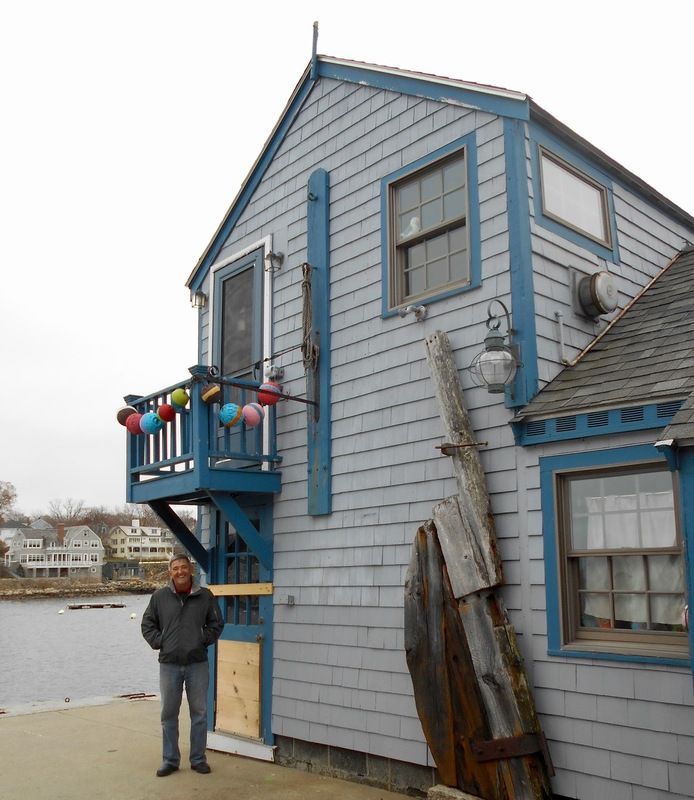 This is the Rockport Art Association building. While this magnificent building in the Shalin Lui Performance Center. But this is the official photo (courtesy of http://rockportmusic.org). 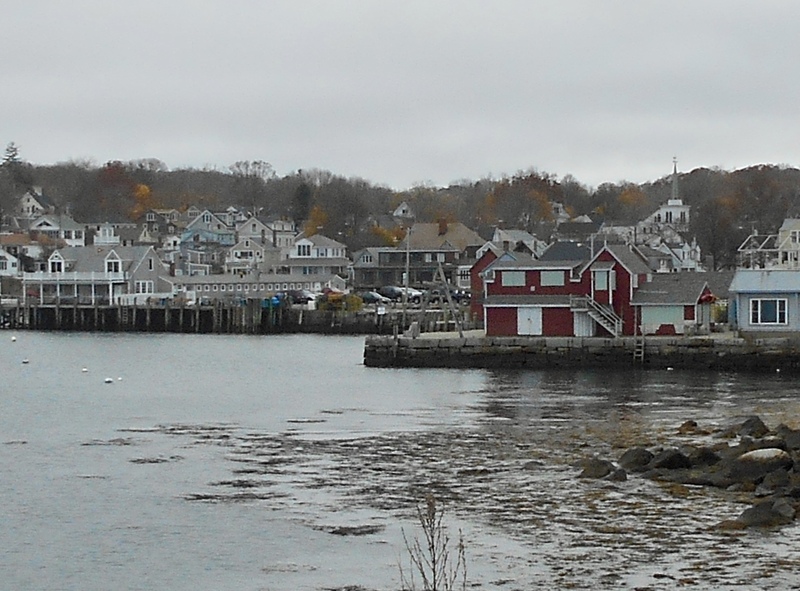 If you ever find yourself in Massachusetts don't miss Rockport.